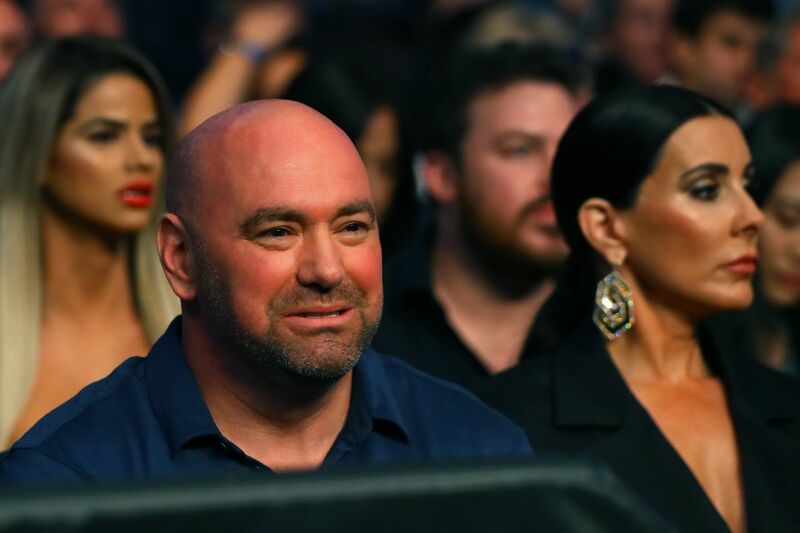 ESPN was able to bring 568,000 new subscribers to its ESPN+ digital streaming service over the weekend, thanks to Ultimate Fighting Championship (UFC) and its “Cejudo vs. Dillashaw” mixed martial arts (MMA) event, which took place on Jan. 19 inside Barclays Center in Brooklyn, New York. I would be interested in knowing what the number becomes after the seven-day free trial expires later this week, but for now, we’ll let the “Worldwide Leader in Sports” have its moment in the spotlight. The UFC Brooklyn “Prelims” on ESPN (recap here) averaged a 1.4 metered market rating, making it the highest-rated UFC Fight Night preliminary card on cable since at least 2013, according to today’s press release. For complete results from UFC Brooklyn click here. It was the latest installment of the “champ versus champ” series, with flyweight king Henry Cejudo taking on bantamweight champ TJ Dillashaw. But there was a lot more at stake than just a belt. You see, the UFC is on the cusp of getting rid of the flyweight division, and the 125-pound champ losing would be the perfect opportunity to kill it. So of course the Olympic wrestler rose to the occasion. It took a little more than half a minute for Cejudo to overwhelm Dillashaw with strikes. From a kick to the head to a storm of punches, Cejudo had Dillashaw stumbling, dropping, rising up and dropping again. The ref saw enough at the 32-second mark. Is the division saved? Maybe. Hopefully. After beating the champ in the weight class above, the flyweight champ certainly deserves to keep his kingdom. The post UFC Fight Night Brooklyn Results: Henry Cejudo Wrecks TJ Dillashaw in Less Than a Minute appeared first on Caged Insider. As local heavyweights go, Tai Tuivasa earned his main event spot at UFC Fight Night 142. Three wins in three Octagon appearances, and all of them pretty decisive, meant it was time for him to take a step up in competition with the spotlight shining on him brightly. So he got to face former champ Junior dos Santos. There was no real heat between the two before the fight. In fact, they seemed to have gotten married and adopted a baby kangaroo, which is a common thing in Australia. But when the cage door shut it was time for business, and Tuivasa wasted no time chopping away at the Brazilian with kicks, kicks and more kicks. Meanwhile, whenever JDS clinched him, Tuivasa would use that opportunity to land elbows. Things were getting hairy. And yet, JDS has been an elite heavyweight for a while now – and one of the coolest guys around to boot – so all it took was some sloppiness on Tuivasa’s part and Dos Santos was able to capitalize. A short hook in an exchange sent the Aussie to the canvas, and after some ground and pound, JDS got the win via TKO. This loss probably does nothing for Tuivasa’s standing as local hero. Whenever the UFC comes to town, he’ll be on the card. As for Dos Santos… like Shogun’s win in the co-main event, maybe this staves off the talk of retirement for a little while longer? The post UFC Fight Night 142 Results: Junior dos Santos Is Still the Coolest Heavyweight in the UFC appeared first on Caged Insider.